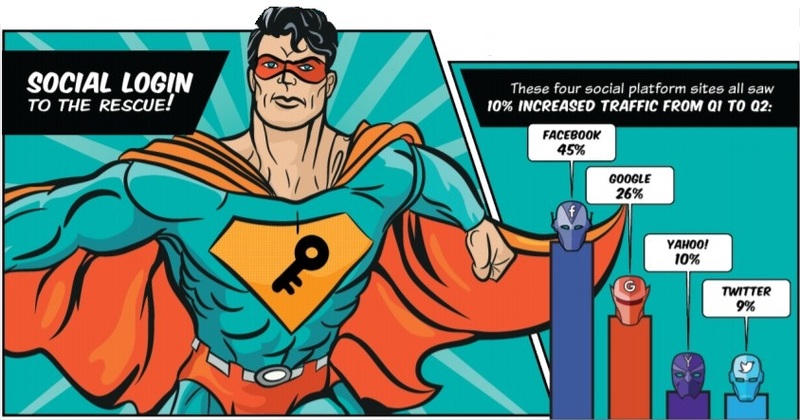 Social login has become the preferred way to access online accounts. The reason for that is simple. It helps users feel safe about the information they share, especially when it comes to buying content online. In this post, we’ll discuss the advantages of social login, backed with some interesting statistics and practical examples. In the world of video eCommerce, the option to log in to your favorite online service via your Google, Facebook or Twitter account has tons of advantages for the user. People often overlook and do not pay a lot of attention on simple features like the social login. But this kind of features usually has a big impact on the online/mobile purchasing and the overall consumer satisfaction. Improved customer acquisition: Reduces registration barriers and decreases the number of invalid email addresses. Our analysis shows that some of our major clients recorded more social logins that traditional, email logins. ClayPerView, our speed car broadcaster from Australia is seeing more the half of their consumers logging with Facebook, with email is only a third using email to authenticate. 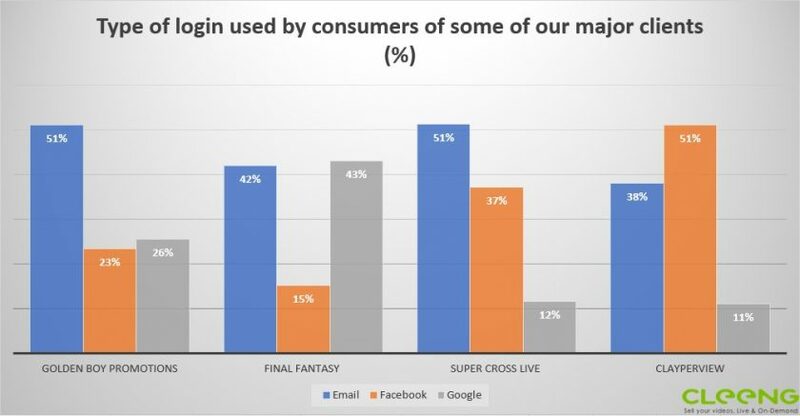 Final Fantasy fans prefer Google for logging in. Let’s check some industry numbers on the topic. 95% of consumers are aware of social login and the majority of web users (58%) realize the value and convenience of using social login. Most people use social logins either because they don’t want to spend time registering for a new site (43%) or don’t want another password to manage (43%). 75% are frustrated with passwords and 50% will not register because of passwords. All in all, social login helps users feel safe about the information they share.